Let me just start off by saying, transitioning to a new daycare was really hard. Although, I’m not sure which was harder. The actual process of transitioning Blaire to her new school or having to tell her current daycare that we were moving her. 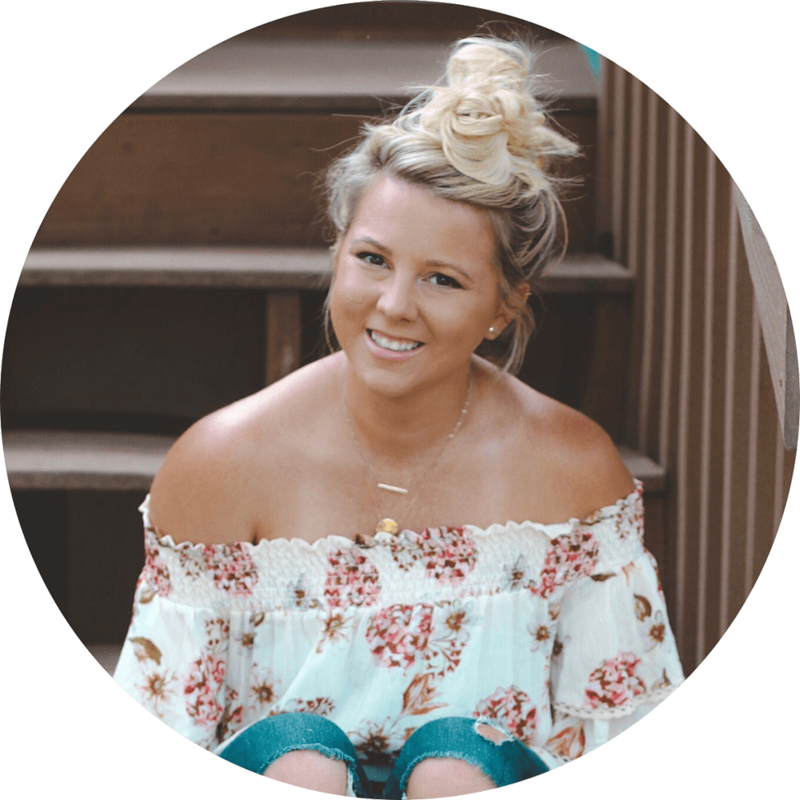 Blaire attended the same in-home daycare from the time she was 12 weeks old, up until three months before her third birthday. She LOVED her. We loved her! 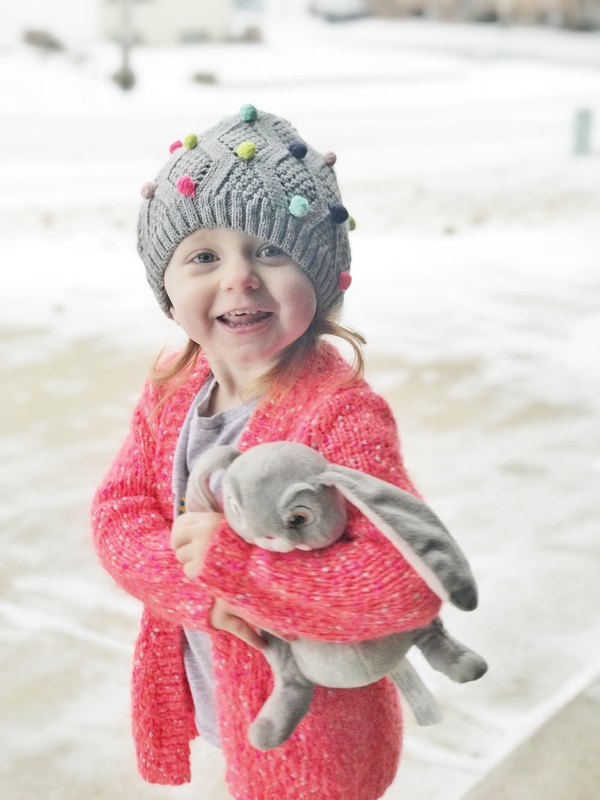 We never had any problems and really our only push for moving Blaire was that we wanted her to be in a more structured, preschool-like setting and we wanted her to be transitioned into it before bringing home a baby. While we knew it was something we eventually wanted to do, we hadn’t even been actively looking for a new daycare, it just happened to fall into our laps. We had several friends, one of my coworkers and one of Jason’s, telling us their daycare had an opening in the 2-year-old room, and they just so happened to be talking about the same one. They both had nothing but great things to say about it. The cost wasn’t too far off from what we were currently paying (which is SUPER rare for an in-home vs. a daycare center) and it’s affiliated with the local Catholic school system, so we loved the idea of Blaire praying at school and learning more about her faith. From the time we toured her new school, to us notifying her current daycare that we’d be moving her was about four weeks. We went through the handbook for her new daycare, page by page. We asked our friends 50 questions about their experiences there. I asked the director of the daycare 100 questions. We really needed to be sure we were doing the right thing. I’m not lying when I say I didn’t sleep those weeks. I had so much anxiety and guilt around knowing how upset she would be. And knowing how hard it would be on Blaire to go from seeing someone 5x/week to never seeing them. Not only her actual daycare provider, but her two friends and their two siblings. When we made the final decision to move her, I made Jason go with me to pick up her one Friday night so he could break the news to her current daycare. All of my anxiety and guilt lead me to lots of research around the etiquette of switching daycares. I finally found the “two week rule” that said you should give a two week notice, per child. We actually gave three weeks notice, with four weeks of pay, since I ended up being able to take the time off between Christmas and New Years. Between her last day at her in-home daycare and the first day at her new “school,” she and I had 11 days at home together. So the combination of getting to stay home with mom and then having to go somewhere unfamiliar made for a tough week. She started on a Tuesday and she was actually SO excited that day. She kissed me goodbye, told me she loved me and ran off with one of the teachers to play in the play kitchen. I was so proud of her, I cried! Anyways, I did not promise you 100 ways to feel more mom guilt by transitioning your toddler to a new daycare. So… how about those tips I promised you. Let them take along an item they find comforting. For Blaire, she took her blanket and binky every day, from the beginning. But after the first week, I realized letting her take a stuffed animal from home was a great distraction. The first morning Blaire brought Marshall (from Paw Patrol) and her favorite teacher suggested they build a dog house for him. She was still a little hesitant to let me leave, but she was also so intrigued at going to build the dog house that she let her teacher carry her away without any crying. 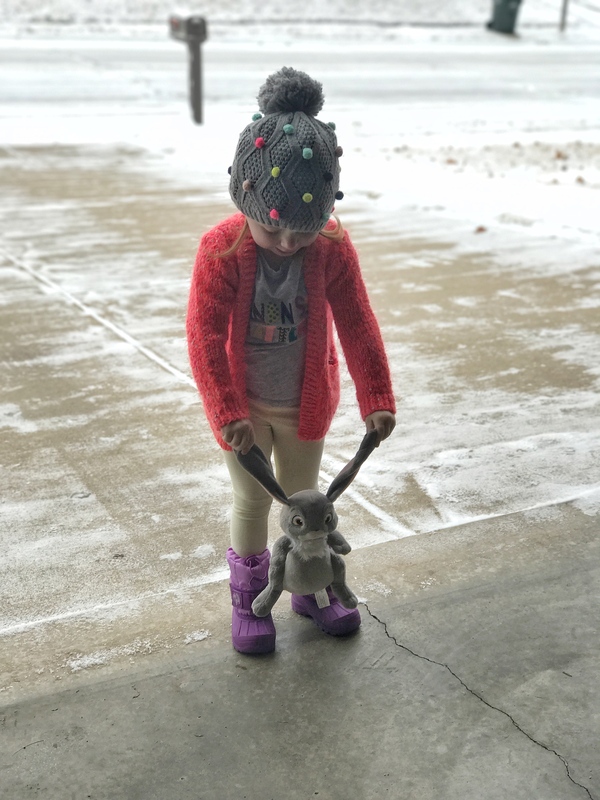 Marshall went along the next few mornings, and each morning, her favorite teacher would meet us at Blaire’s cubby and ask her what she wanted to build for her animal that day. (God, bless her. Seriously.) After a few days, Blaire took Clover (from Sofia the First) and insisted they build him a castle. Thankfully her teacher was up for the challenge! Send a family picture for their cubby. After Blaire’s first week there, they asked me to bring in a family photo for their “Family Tree” wall. And coincidentally, the very next day, one of my followers on Instagram suggested sending along some pictures of us for her cubby, so that she could look at them when she missed us. She was very proud to take in her picture to show it off to her friends. It hangs on the wall and she loves to look at it throughout her school day. Plan something each evening and talk about it before daycare. 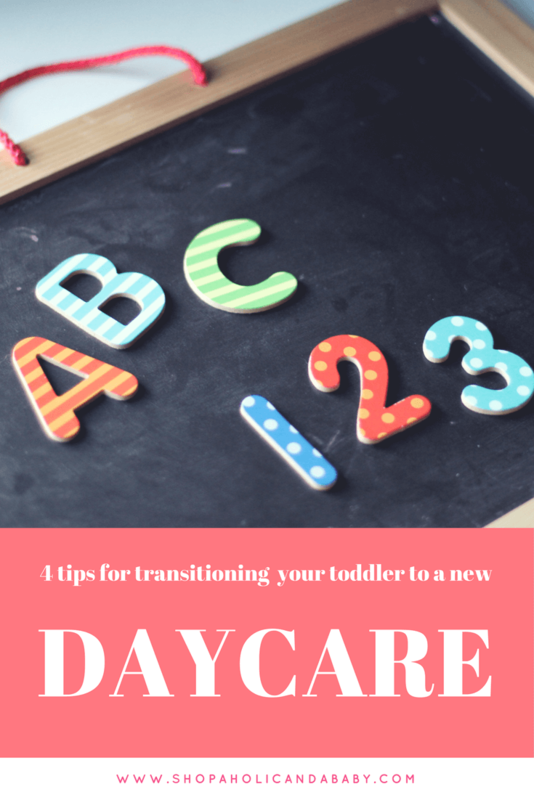 I had read that staying with your child for an hour or so during their first few days was helpful for a transition, but our daycare advised against it. I’m so glad they did! Even the mornings that I found myself there for more than 20 mins were much harder on Blaire than had I just left. She kept thinking that if she whined a little bit more then I’d stay longer. I found that sticking the a consistent routine is key. For us, we walk into her classroom where I help her take off her coat and she hangs it up. 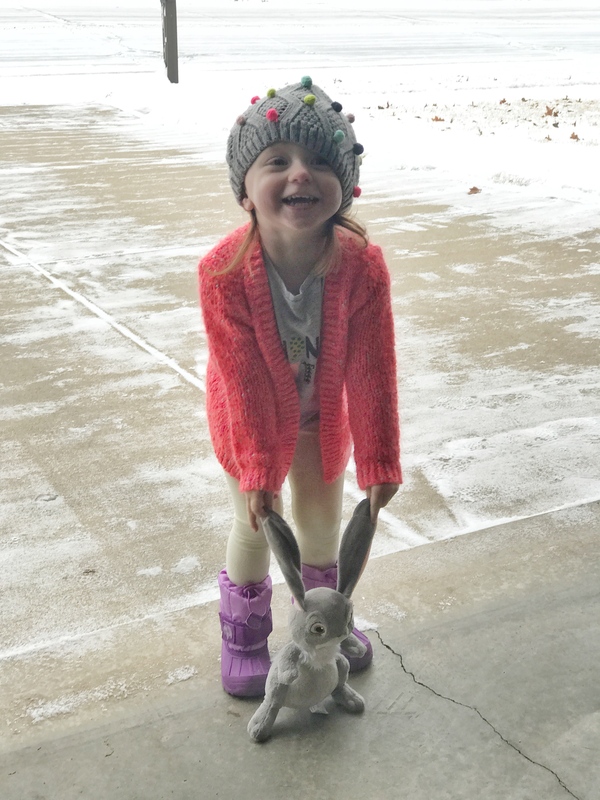 For the first month or so, her favorite teacher would greet us at the door and take Blaire, her stuffed animal and her blanket to go play. But now she is happy enough to be there that she runs to her teacher as soon as her coat is off! So what I’m here to tell you is, it may be rough, but you’re doing the right thing. As long as you know you’re making the transition for the right reasons, everything else will work itself out. Even when you’re crying in your car, or having to be the “mean mommy” who is taking their child to the place they don’t want to go… it will get better. A comfort item can really make a huge difference. Way to go in helping make the transition go as smoothly as possible. AWWW! Poor Blair and poor you! 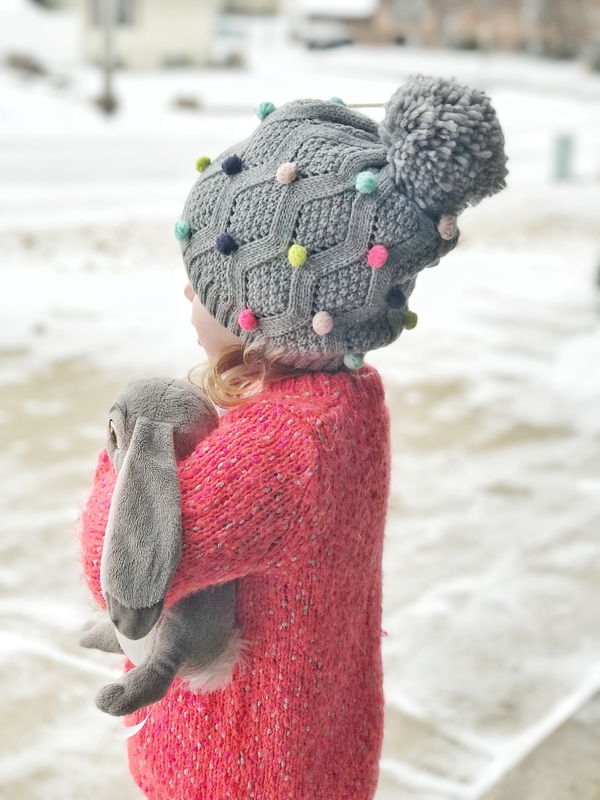 Thank you for these tips– I stay home with A but I feel like I’ll need these tips when we send her to school. Letting them go is so hard even though its so necessary and good for them. So cute! Thanks for the tips!